See a Road. Eat a Road. 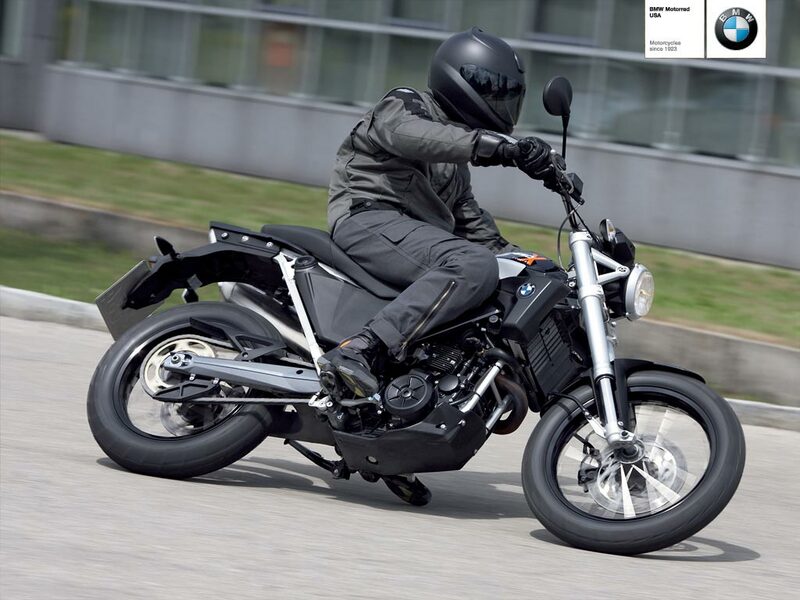 The most versatile member of BMW Motorrad’s fresh new G series line up, the G 650 Xcountry is the classic scrambler concept topped off with a few modern features unique to BMW, like a zippy 53 hp single cylinder engine, and a high performance lightweight design. With a round head lamp, round side panels and black, anodized wheels, the look of the Xcountry is edgy and totally striking. Add Marzocchi telescopic forks and Magura aluminum handlebars and you can attack any road you want, from dusty gravel tracks to asphalt sweepers. 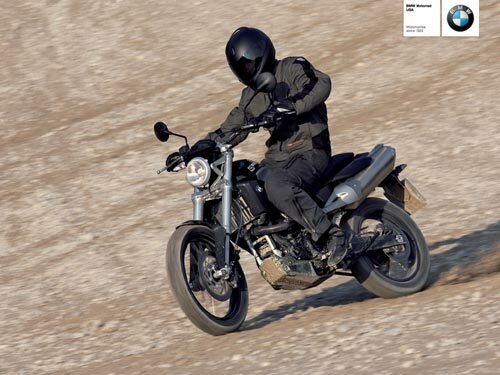 On-road or off-road, the Xcountry is one scrambler that’s will have your heart revving as fast as your tachometer. Refined, generous chassis components surround a high-performance single-cylinder engine which has what it takes. Reliable, powerful and thanks to Euro 3 catalytic converter and state-of-the-art engine management with the very lowest fuel consumption and exhaust emission levels: this bike will put many larger machines behind it. And that applies to asphalt and off-road. The BMW G650X Country is a genuine scrambler. As well as being a BMW through and through: high-quality, durable, suitable for everyday use, with long maintenance intervals and the reliability which distinguishes the brand. The best of both worlds makes this BMW G650X Country unique.